New Deluxe All Around Support with Extra soft Velboa plush padding for all-around support. Belt slots snaps for secure fit. 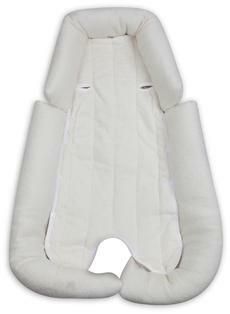 Unsnap sides to form head support for older baby.